Church plants often struggle to survive. And survival mode forces a focus on bare basics, leaving little energy and few resources for evangelism or outreach. 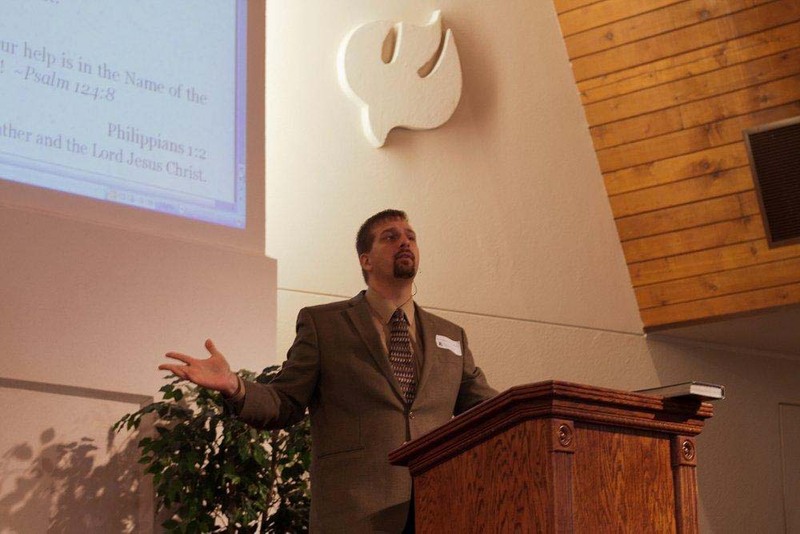 But Sioux Falls United Reformed Church Fellowship, a church plant in Classis Central of the URCNA, has surpassed survival mode to host a recent conference on worship. “With Joyful Reverence & Awe: Biblical Worship in Post-Modern Times” was held on October 7 & 8, 2011, at the Heartland Community Church building in Sioux Falls, SD. Rev. 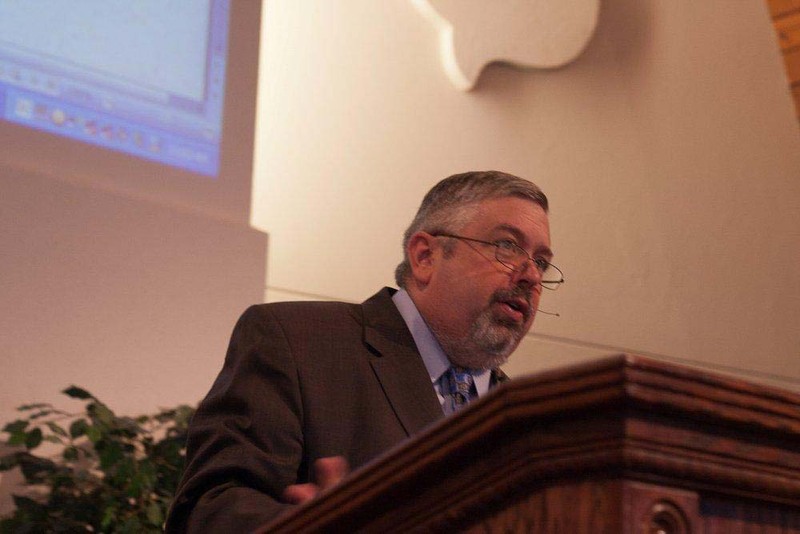 Alan Strange, Associate Professor of Church History at Mid-America Reformed Seminary, and Rev.Spencer Aalsburg, pastor of Sioux Falls United Reformed Church (SFURC), spoke at the conference. Organizers asked Rev Strange, who is ordained in the Orthodox Presbyterian Church (OPC), to speak on the subject of worship. In the afternoon, Rev. Aalsburg spoke on “When the Worship Begins on Sunday—How Does Biblical Worship Look in Practice?” Following that presentation the two speakers fielded questions during a question and answer session. Both pastors led the Sioux Falls congregation in worship at Sunday morning’s service, which was followed by a fellowship lunch. Free materials from Ligonier and the White Horse Inn allowed SFURC to distribute a folder of relevant resources at no cost. 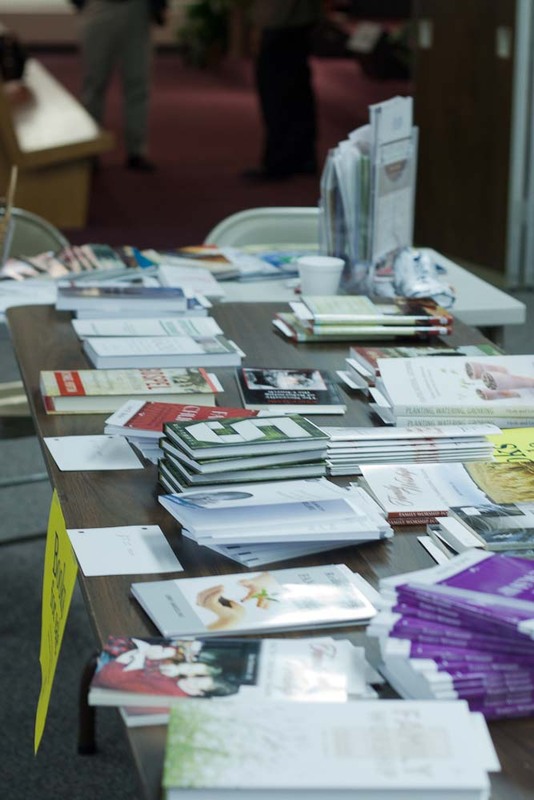 A book table from Reformation Heritage Books allowed attendees to purchase material related to the subject of worship. Organizers hope soon to post audio files of conference lectures at the SFURC blog: http://sfurc.blogspot.com. This article by Glenda Mathes appeared on pages 10-11 of the December 7, 2011 issue of Christian Renewal.